Aimed at professionals across the entire retail value chain, we present a two conference that will provide delegates with inspiration and insight that brings forth new thinking in this unprecedented age of change. Featuring presentations from recognized industry experts and leading practitioners responsible for creating some of Asia’s most ground breaking retail destinations, stores, brand commerce experiences and shopper communications, the conference will shine a light on the places, spaces and faces of retail today and provide a glimpse of retail tomorrow. Using the unreasonable Power of Creativity as it’s central theme and with 6 Keynote presentations and 2 interactive Q&A forums, Day One will explore how creativity is empowering and informing the hot topics of our industry. AI, VR, Blockchain, Cyber Security and etc. How to turn technology innovation into real ROI? 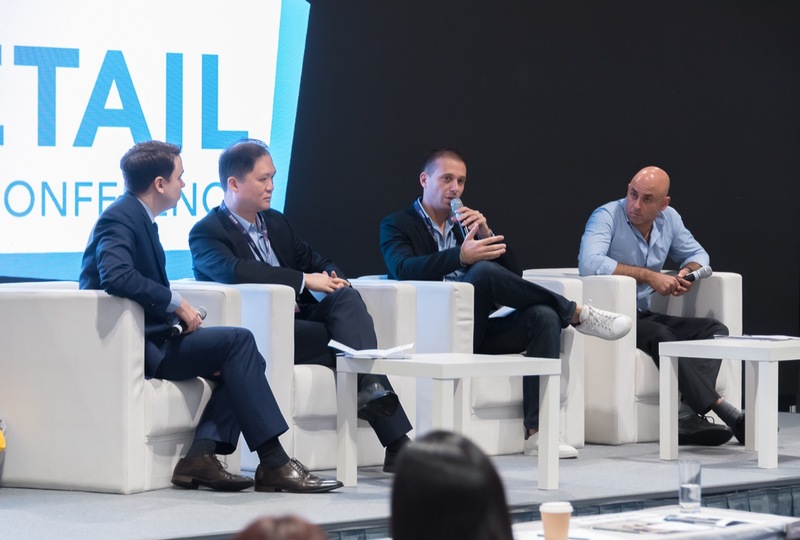 Held alongside Retail Asia Expo – the award winning trade show profiling the very latest cutting edge retail innovation, The conference is a the perfect compliment to the expo, offering delegates the chance to learn from, meet with and network with the thought leaders of the retail industry in Asia. We welcome submissions of papers for our upcoming event by thought leaders of the retail industry. If you want to share your latest industry insight, an exciting success story, innovative approaches to multi-channel retailing or about retail marketing and store design experiences in the Asia-Pacific, please contact [email protected] with a short outline of your presentation (about 200 words) and a short introduction about yourself (about 150 words). Panel Discussions (40 minutes) are sessions with one designate topic discussed by about 3-4 panelists guided by one moderator. Panelists will be asked to present one key statement in a short pitch of 5 minutes followed by a discussion among the panel and some Q&A from the audience. A short list will be notified by email in February, 2019 – Please note that reviewer comments will not be supplied to proposal submitters. Raise your profile among industry peers and extend your professional network. Find new business contacts, partners or leads. Confirmed speakers will be invited to attend the whole conference and its networking events. Speakers will be responsible for all other expenses including travel, non-sponsored meals and miscellaneous charges. Copyright © Retail Asia Conference & Expo. All Rights Reserved.